Austin Hoyt is a 6’8” 260 offensive lineman for the BYU football team (Class of 2012). He redshirted as a member of the scout team for the 2012 season and then departed on an LDS mission (Colorado, Denver North) returning in February 2015. Prior to his time as a Cougar, Hoyt prepped at Argonaut High School, where as a junior he recorded 109 total tackles, five sacks, blocked two field goals, and one fumble recovery. 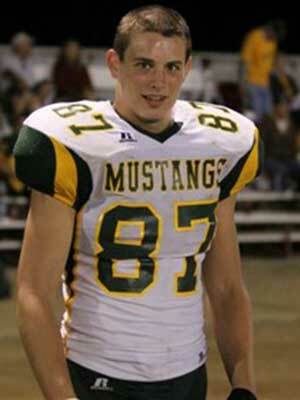 As a tight end he had eight receptions for 111 yards, a touchdown, and a two-point conversion. As a senior he caught 10 passes for 325 yards, four touchdowns, and three two-point conversions. As defensive tackle he recorded 70 tackles, two sacks, one fumble recovery returned 45 yards for a touchdown, as well as an interception brought back 50 yards for a touchdown. He was named the 2011 Mother Lode League MVP and the all-area second team. He was also an all-league performer in basketball (2010 and 2011), spent four years on the honor role, and served as student body president. 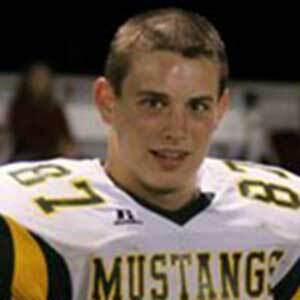 Hoyt was rated 3-stars by Rivals, Scout, and ESPN (grade of 75). Scout ranked him the No. 14 defensive end in the west and No. 87 overall player in California. Hoyt held scholarship offers from Air Force, BYU, and Utah. He was also recruited by Arizona, Boise State, Fresno State, Nevada, Oregon, Oregon State, UCLA, Utah State, Washington, and Washington State. He committed to BYU on June 3, 2011. Last Team: Argonaut HT/WT: 6’3”, 251 lbs.